Lina Perez, Director of Kidzone Learning Center in Miami-Dade County, Florida, established a partnership with a local gym. 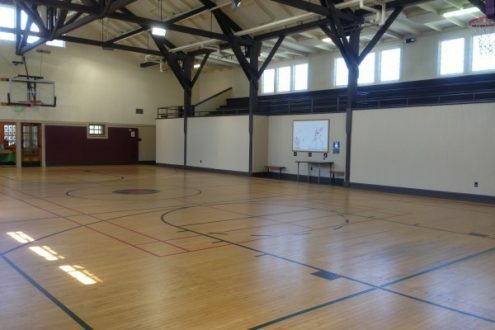 Once a month, the gym rents out their space for the kids to use for one hour. Utilizing what she has learned from the National Early Care and Education Learning Collaborative (ECELC) program, Ms. Perez takes all children to the gym to engage them in structured physical activities such as beanbag games and musical chairs. Ms. Perez also invites all of her students’ parents to come out and participate in activities with their children. Ms. Perez is grateful for the opportunity to partner with her local gym and hopes to make future collaborations with other organizations that support healthy improvements in early child care settings. Christie Wolfe, the owner of Bright Start Child Care in Kentucky, had trouble finding an impactful nutrition and physical activity training program in her community. She was very excited to hear about and participate in the ECELC program in 2016. The Healthy Habits for Life Child Care Resource Kit gives you the tools you need to teach children about eating right and being physically active so that they can establish healthy habits for life. This section offers easy and fun ideas and activities to get kids moving.